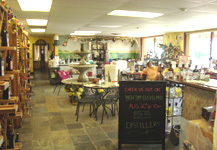 The Grape and Granary - "Your Personal Winery"
Have you ever thought about making your own wine? Now you can! Making your very own custom wine is easier and more affordable than you think. 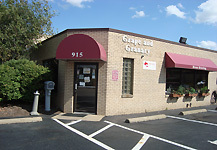 At the Grape and Granary, we have made the wine making process simple, fun and affordable. Join us as our experts take your personal tastes from barrel to bottle. Our process allows you to share your custom blend with family and friends in as little as 4 short weeks. Are you ready to find out more about winemaking? 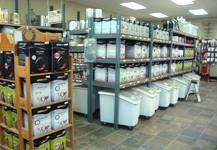 Call us at 1-800-695-9870 or click here for more information on our location and store hours, or click here for Home Wine and Beer making supplies. To purchase our finished wines, click here. For a link to the Ohio Wine Producers Association, click here.